Hailing from Oxford, Temple Funk Collective are an eight-piece brass band who look to New Orleans for inspiration, whilst also add gypsy, jungle and hip hop into their unique mix. 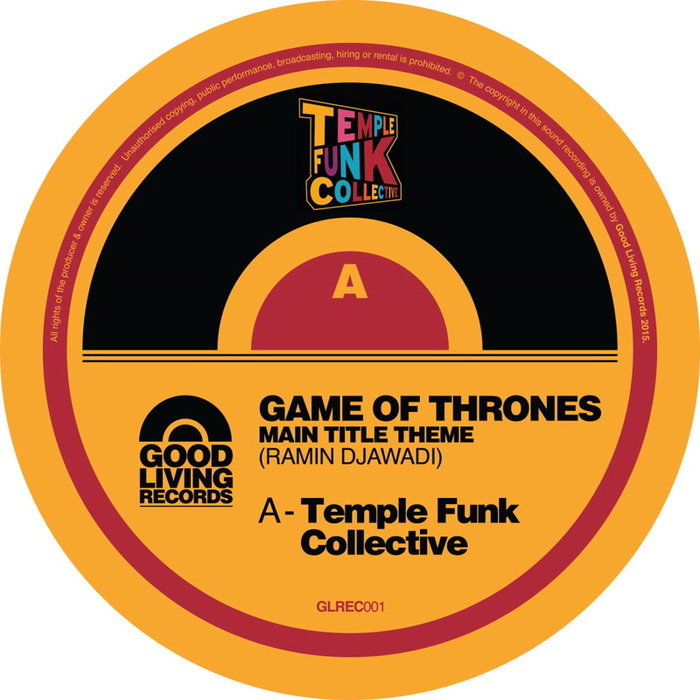 This release see the festival faves tackle something as equally as crowd pleasing - a totally inspired cover of the sombre Game Of Thrones theme. Also included is a re-edit by Aldo Vanucci, which explodes with wild-eyed drums. Expect to hear this at festivals all summer long.